Christmas greetings, friends and visitors! I'm back today with a huge thank you to you all for your interest and participation in my annual Christmas tags challenge. 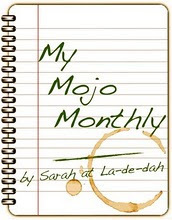 I've had such fun making these tags and visiting the blogs of everyone who has played along. You all have been a huge inspiration to me with the amazing art pieces you have made with just a small idea here and there from my tags. Thank you! I'm so grateful for your participation and support playing it this challenge! I hope you have all had as much fun as I have had. So here I am, back with the first of two very small offerings to keep you inspired over the holiday season. It's a super busy week so I made a quick Thank You tag, taking my inspiration from Tim Holtz. I really loved what he did with the frosted film for his December tag and I will be entering my tag in his challenge. My small supply in the store sold out immediately so I had to wait to get my frosted film to come in a re-order. Since December is running out, I decided to double up on this tag. I didn't have much time to play so I made it very simple, just swiping the background with Icy Spruce DS and stenciling the holly leaves on with Library Green archival ink. 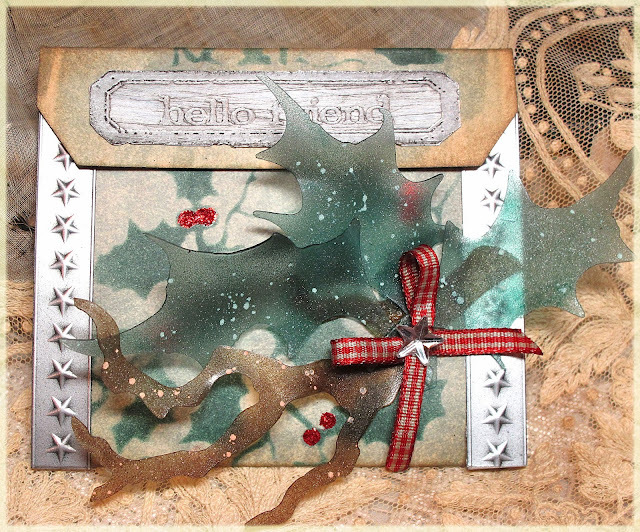 The holly leaf cluster was made exactly according to Tim Holtz's instructions for his December tag. Because my holly leaf cluster was a bit overwhelming on the small footprint of the tag, I wanted to keep any other embellishments to a minimum. I love the Industrious Stickers - Borders and decided a strip on each side would be a nice touch. I tried to mimic the tarnished metal surface from the Industrious stickers with the sentiment plates. Using Silver Foil card stock, I scratched it lightly with my Sanding Grip to take the shine off it. Then I silver embossed the plate and the sentiment from Simple Sayings, dabbing on Pitch Black acrylic paint. Once it was 3/4 dry, I buffed it off leaving a tarnished look to it. It doesn't exactly match the Industrious Sticker surface, but it's close. The inside is mostly blank for writing a personal thank you message. 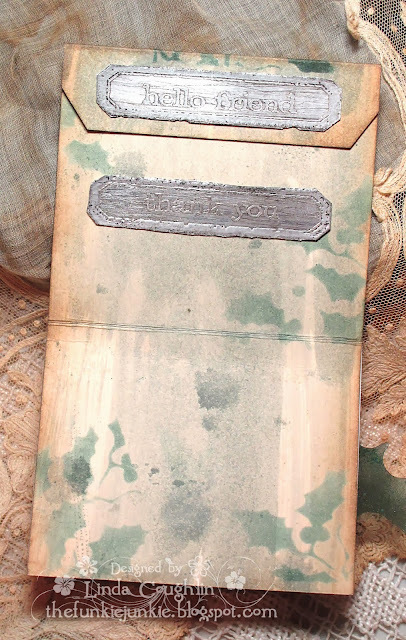 I ran a strip of red line tape under the top flap to create a matchbook type of closing for the note. Thanks so much for stopping by today. Wishing all my Christian friends a very blessed Christmas! This tag card is great, Linda! I've wanted to try Tim's technique with the frosted film and now's my chance! Thanks for the great inspiration this year. Have a wonderful Christmas! Gorgeous! Love the metal details! Has my thoughts spinning on what to do with this. Have a merry Christmas! 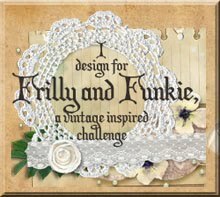 Another stunner Linda, love the design of this and can't wait to start on mine! so sorry I missed all your tags. Now that I am on vacation i plan to go through them all. LOVE the faux metal labels on this card!! That is beautiful. I love the stars, they make lovely frame for the holly leaves. Have a very happy Christmas & thank you for the wonderful inspiration. So so beautiful Linda! I love the stars up the side! Merry Christmas to you! A beautiful thank you tag, Linda - I love the frosted holly, and the industrious borders look so cool! Thanks for the nudge - I've joined in - and grateful for the idea given I've lost crafting time to the bugs!! Hope your flu continues to clear up, and happy, happy New Year! Linda you've created a wonderful Thank You tag. Thanks for the great inspiration. The Best Thumb Link Product! Retired from the everyday workaday world. 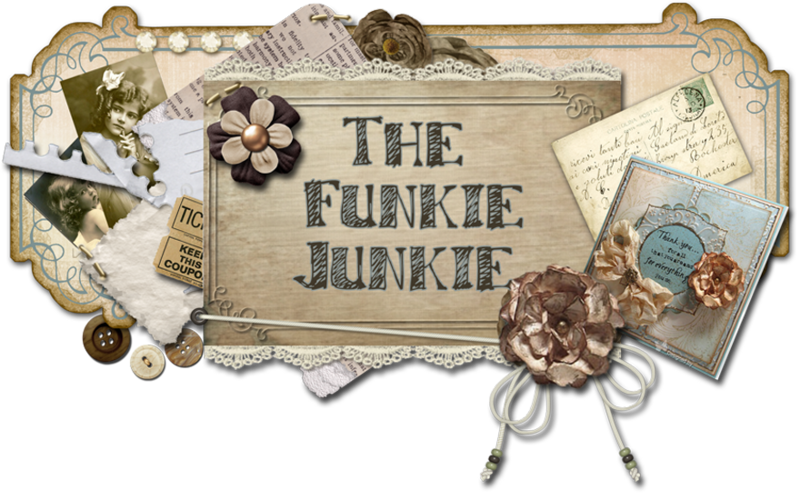 Owner of The Funkie Junkie, a small on-line craft boutique. When I'm not packing orders, I'm indulging my passion for creating beauty by making hand-made greeting cards and other paper crafts. 12 Tags News - Please Read! All content, including artwork, designs, text, and photographs are COPYRIGHT © Linda Coughlin. All artwork displayed on this site is meant to be used for creative purposes and for personal inspiration and enjoyment only. The artwork found on this site may not be duplicated for publication, resale or submitted for publication or contest submission. Thank you for respecting my rights to my original creations.